There are some very important factors to consider about your survivor annuity election that you need to understand by the time you file your application for Civil Service Retirement System or Federal Employees Retirement System benefits. Since this work week ends with Friday the 13th, I thought I would tell you about 13 important things to know about this decision. Most employees complete their retirement application at least 30 days before their retirement date. But the annuity election is so important that you should start to think about it a year or more before your retirement. Even if you’re at mid-career, it’s not too early to understand your annuity choices. A reduced annuity with a maximum survivor annuity for a current spouse. A reduced annuity with a partial survivor annuity for a current spouse. An annuity payable only during your lifetime. A reduced annuity with a survivor annuity for a person who has an insurable interest in you. A reduced annuity with a survivor annuity or partial annuity for a former spouse or spouses. At first glance, the decision for most employees would be made based on your marital status: those married would choose the first option, those married with a spouse who needs their health insurance but not their money would pick the second option, and single applicants would go with the third. But what about options four and five? What about using life insurance as a substitute for a spousal survivor annuity? What if you recently got married or are planning to get married after retirement? What if you have a former spouse with a court order to a survivor benefit and are remarried? This decision can get complicated very quickly. If you are single at retirement and select the third option, that means there will be no reduction to your retirement benefit to provide a survivor annuity. When you die, your retirement will die with you. To get your money’s worth, I wish for you to live a long and healthy life after you retire. If you marry after retirement, you will have two years from the date of your marriage to elect a survivor annuity (full or partial) for your new spouse. You should notify the Office of Personnel Management for a computation of your retirement with the survivor benefit reduction applied within this two-year window. The two-year allowance is like a test drive so you can try to make sure you’re going to stay married and that your spouse needs this benefit for financial reasons. The benefit is payable if your death occurs as early as nine months after your marriage occurred (or earlier if your death was accidental or there is a child born of the marriage). You do not need to show proof of your good health to make this election. If you are married at retirement, but later divorce, the reduction to your retirement and the entitlement to the spousal survivor annuity end effective with the date of the divorce. For your former spouse to continue to be entitled to a spousal survivor annuity, there would need to be specific instructions outlined in a court order or divorce decree. If you are married at retirement, but your spouse dies before you, you should notify the Office of Personnel Management to have your reduced retirement benefit restored to its unreduced value. Providing a survivor annuity isn’t as expensive as it first appears, because the reduction in your retirement benefit to provide it reduces your taxable income. For example, the maximum survivor annuity election for a spouse on the FERS retirement application will reduce your retirement by 10 percent. Therefore, your taxable retirement income will be cut by 10 percent. If your FERS retirement benefit is $4,000 per month before the reduction, then your income would be reduced to $3,600. If you’re in the 22 percent marginal tax bracket, your tax obligation would be reduced by $88 a month. A spousal survivor annuity not only provides income to your surviving spouse, it also might provide for continuation of health insurance. If you don’t provide a survivor annuity then should you die before your spouse, they would lose your retirement benefit and entitlement to FEHBP. If you and your spouse are both receiving a Social Security retirement benefit, they will also lose the lesser of the two benefits as well. What if you have a former spouse who was awarded a survivor annuity in a court-ordered divorce settlement? The law says, “first come, first served.” If you have since remarried, your current spouse will receive the difference between the court-ordered benefit payable to your former spouse and what’s left of the full survivor annuity. If the former spouse dies first, then the current spouse would be entitled to the full survivor annuity. If your current spouse is not going to be entitled to enough income in the event that your former and your current spouse are both alive after your death, then your current spouse may waive the election of maximum spousal benefits since the benefits are subject to being reduced based on the court order in place for your former spouse. You may choose option four, insurable interest, for your current spouse as long as you are insurable—that is, you can provide medical evidence of your good health. The insurable interest election will cause an additional reduction to your retirement on top of the court-ordered benefit awarded to your former spouse. The insurable interest reduction, which ranges from 10 percent to 40 percent, is based on the difference in your age and the person who you are naming. Another use of the insurable interest option is if you have someone who depends on you financially, but is not your spouse. You may name this person, often a person with whom you are in a committed relationship, to be your insurable interest. The benefit will be computed as explained above. This election is generally not used for someone who is much older than you, such as a parent, since the reduction will cause your annuity to be less during the time you are both living. Also, if the person you name dies first, then you’ve received a reduced annuity for nothing. At the same time, this election is rarely used to provide an annuity for a child or someone who is significantly younger than you, because the reduction increases for every five years that the person you name is younger than you, up to a maximum reduction of 40 percent. The value of the survivor benefit is subject to cost of living adjustments and is based on the unreduced CSRS or FERS benefit at the time of the retiree’s death—not the value it had at the time retirement began. In addition, the survivor annuitant receives annual COLAs throughout their lifetime. For survivor annuitants, the COLA applies to both the basic survivor annuity and supplementary annuity (under FERS). For example, a FERS retiree who received a retirement benefit of $2,500 a month in 1994 would be receiving $3,831 a month this year due to annual COLAs. (This example assumes the annuitant received a COLA every year of retirement; keep in mind that for many FERS retirees, the COLA doesn’t begin until age 62). Life insurance benefits aren’t adjusted by COLAs, and policies can be canceled. Some married employees choose to purchase a life insurance policy to protect their spouse should they die before them. For a married employee, this election requires the notarized consent of the spouse to show that they understand they are waiving their entitlement to the survivor annuity provided under the law. Life insurance isn’t always a less expensive alternative. For example, term life insurance is much less expensive for individuals who are insurable, but pay attention to the “term” aspect. If you have a 20-year renewable term life insurance policy that you bought at age 55, when you turn 75, the term is up. You may think you can simply renew the policy. But the cost of life insurance is considerably higher at age 75 than at 55. Why would anyone choose option five, a survivor annuity for a former spouse? Frankly, I’m not really sure. In my 30-plus years of experience, I’ve never seen this election used. Generally a former spouse is awarded a survivor annuity in a divorce decree or court order. I suppose there could be an occasion where the benefit wasn’t included in a divorce agreement, but a retiree cares enough about their former spouse’s financial welfare that they make this election. 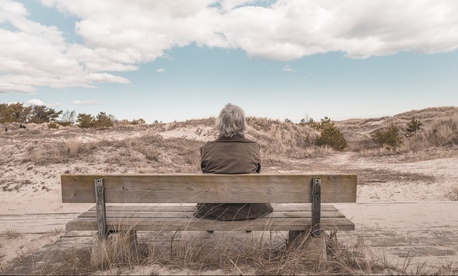 If they have remarried, however, it would be hard to imagine a current spouse would waive their right to a survivor annuity so that a retiree could voluntarily provide some or all of the their benefit to their first spouse. In the pre-retirement seminars I conduct, I often get comments from unmarried employees that I dedicate too much time to survivor annuities, since it doesn’t apply to them. I disagree, because life goes on after retirement, and you can’t be sure how things might change for you. You might be single now, but could get married later. Or you might end up providing financially for someone who is not your spouse, in which case you may want to provide a survivor annuity for them. And remember, the annuity election is permanent—it can only be voluntarily changed within a short period following your retirement. So there’s a lot riding on the decision you make.